Usually installing ESXi (since 5.0) on a host with just one CPU core will simply fail. If you only have a single CPU core then the installation terminates with the following error: CPU_CORES_ERROR: Your machine has  cpu core(s) which is less than recommended  cpu cores. Since I have a server in my lab with just one core ( why? good question 🙂 ) I needed to get myself a workaround in order to get ESXi installed in my lab environment. I installed ESXi (in this specific case 6.7 U1) on a USB thumbdrive with the use of VMware workstation. You can find a very good detailed how-to blogpost right here. After installing ESXi on the USB drive, I inserted it into my server and configured the BIOS to boot always from that USB drive. After a power cycle of the server I was able to boot from the USB thumbdrive and start the ESXi hypervisor on a host with just one cpu core. As you can see below I successfully added the host with 1 CPU core to a cluster in a vCenter inventory. 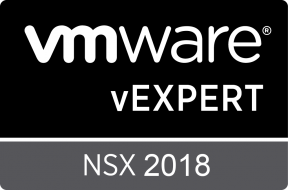 Please, be aware that running ESXi on 1 CPU core is not supported by VMware. So use this with caution and only in lab environments. If you have any questions or remarks, please let me know!